The little one makes her New York City debut at the show. Baby Stormi might not even be a year old, but she’s mastered life as a groupie. 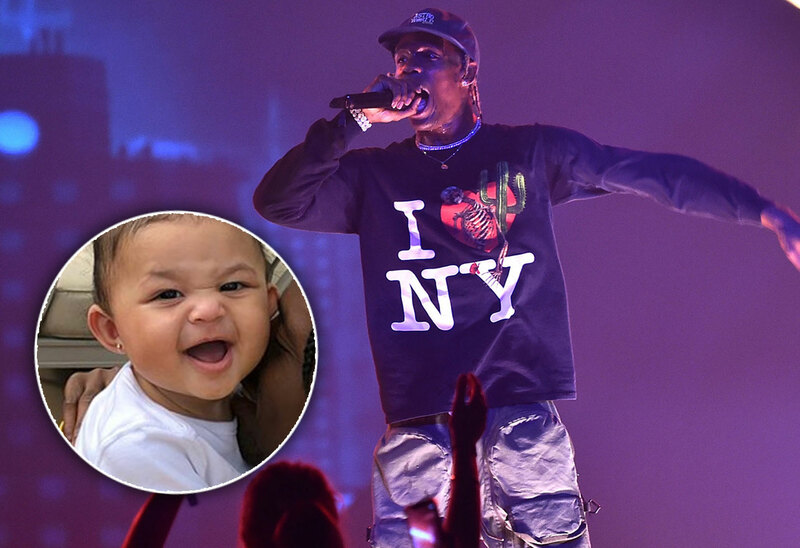 The 9-month-old made her way to dad Travis Scott’s sold out Madison Square Garden concert and she danced up a storm backstage while she watched the rapper do his thing. Mom Kylie Jenner was on hand to make sure she didn’t have too much fun, though. Click through the gallery to see the too cute video of Stormi’s dancing and for all the info on the concert. Travis, 26, posted two videos of Stormi. “MSG ALL RAGERS INCLUDED,” he captioned the post. In the videos, Stormi sits in a white turtleneck and overalls and shakes her groove thing while watching Travis’ performance on a television. She can’t help but giggle. Though mom Kylie, 21, isn’t in the video, she was also at last night’s concert. The beauty mogul also shared a pic of the two celebrating backstage. Stormi was probably busy napping. Months ago, Kylie told fans to watch out for her and Stormi on tour. That sparked a feud with Nicki Minaj, who thought Travis was using his baby and girlfriend to sell tickets. The reality star has been to Miami and Houston already on the Astroworld tour. She’s even selling tour exclusive lip kits. What do you think of Kylie and Travis taking the baby on tour? Sound off in the comments!